Smuggle person do not have high special requirements, for you to take the job. You can see what is required to take the job, by clicking it. But you need free Passenger cabins to take the person, as they fill up passenger cabins. It says how many it requires at the people, minimum one and maximum twenty-five. You can only have passenger cabins, if your ship has passenger cabin upgrades. 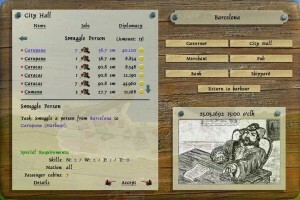 Smuggle person give a high amount of gold and have no time limit on completing the job. 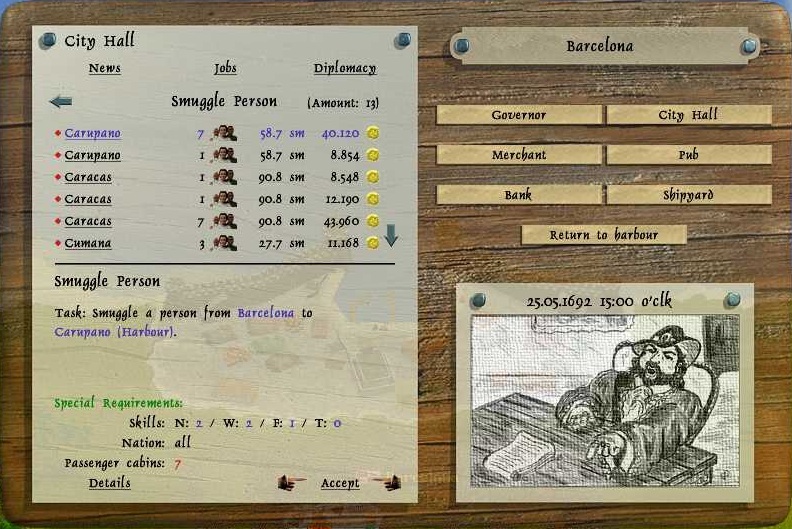 Hint: smuggle person is best done with Barque that have passenger cabins upgrades.